Crystal International Group is the largest producer of denim apparel globally besides being reputed to be the largest apparel group worldwide with about 350 million pieces of apparel sold in 2016 itself . As per the company’s own statement, they are no. 1 in production volume with a global market share of about 0.4%. In denims, they were able to sell about 55 million pcs in 2016. Their total turnover is over USD 1.8 billion USD .To put this into perspective, the total value of US imports of denim in 2017 were about USD 3.5 billion USD. The group , based in Hong Kong , has production facilities in China, Vietnam, Cambodia, Bangladesh and Sri Lanka . Their products are categorized in five main categories ie Lifestyle Wear, Denim, Intimate segment, Sweaters and Sportswear & Outerwear. We will analyze below their performance for 2014-2016 (their latest figures will be analyzed in another report). The revenue from lifestyle segment was about 785 million usd with 46% of the total revenue in 2014 which saw a decrease to about 748 million USD in 2016 with about 42% of the total revenue in 2016. The second largest revenue generator for Crystal International group ltd was denim’s segment , the revenue was about 332 million usd with 19.5% of the total revenue for 2014 which increased to 484 million usd with 27.5% of the total revenue in 2016. This was indeed a great increase of more than 40% in 2 years ! The third largest revenue generator was Intimate segment with revenue of about 245 million usd with 14% of the total revenue for 2014 which in 2016 increased to about 22% to about 294 million usd with 16.7% of the total revenue. The fourth and fifth largest revenue generator were Sweater and Sportswear& Outwerwear segment with revenue of about 272 million usd and 223 million USD in 2016 respectively. The Sales by category by Crystal International Group Ltd saw that the lifestyle segment had the highest sale of about 177 million pcs with an average price of USD4.2 in the year 2016. 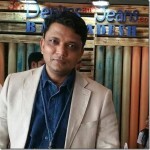 The denim segment had the second largest sales volume of about 40 million pcs with an average selling price of USD8.4 in the year 2014 which increased most rapidly to about 56 million pieces – a growth of about 40% in 2 years ! This was the highest growing segment for Crystal. The Intimate segment had the third largest sales volume of about 73 millin pcs with an average selling price of USD3.3 in 2014 which saw an increase of about 12% to 82.02 million pcs with the average selling price of USD2.9 in 2015 which further increased about 10% to 90.11 million pcs with an average selling price of 3.3 in 2016. The Sweater segment had the fourth largest sales volume of 25.04 million pcs with an average selling price of 8.9 in 2016. The table below shows the revenue by geographic region , the largest part of revenue was from Asia Pacific for the three consecutive year from 2014 to 2016 with the revenue of 609 million usd in 2014 which increased to 695 million usd with 34.8% of the total revenue in 2016. This shows that the company is well entrenched in all East Asian markets including China which gives it its whopping 600 million usd sales in this region alone. U.S contributes the second largest revenue by region – 530 million usd with 31.2% of the total revenue in 2014 which saw an increase of about 11% to 586.06 million usd with 34.7% of the total revenue in 2014, the revenue increased further about 5% to 614.07 million usd with 34.8% of the total revenue in 2016. Europe contributes the third largest revenue by region with 520 million usd and 30.6% of the total revenue in 2014 which decreased to about 11% to 392 million usd with 22.4% of the total revenue in 2016. There is no doubt that Crystal is a very important global apparel group given its size . Being the largest company producing denim apparel makes it very special for the industry . The company expects to keep on growing rapidly over the next few years and it is poised to achieve greater heights. We will further analyse their growth and performance in another report.